I got a mention from an interview I did on ABC Rural about our land-use future in the Tropics. Well worth a read how a new Industry will use new methods of land use we call Savannah Enrichment. The WA Government recognizes the future of horticulture using indigenous species with immense prospects. The Mamabulanjin Aboriginal Corporation intends to plant gubinge trees near Broome, WA. 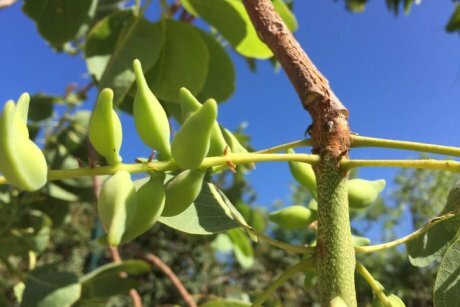 A major plantation of Kakadu plum trees, also known as gubinge, is set to be established on the outskirts of Broome thanks to a unique land deal between the WA Government and a local Aboriginal corporation. More than 600 hectares of State Government land, will be leased at no cost to the Mamabulanjin Aboriginal Corporation (MAC) to establish a native fruit tree orchard. Water Minister Mia Davies said this was the first lease of its kind to be signed by the Water Corporation. “I’ve asked the Water Corporation to identify opportunities for them to go beyond compliance, so being a good community member, and this partnership with MAC will be a step towards creating employment, economic, environmental and social benefits for Aboriginal people,” Ms Davies said. Chief executive of MAC, Neil Gower, said a number of Indigenous plants were being considered for the site, but gubinge trees would be planted first. He said it would not be a traditional orchard, with the gubinge trees being planted in a style known as savannah enrichment. “We plan to be environmentally sensitive in terms of how we develop the orchard,” he said. “We’ll be using a method called savannah enrichment, which is basically planting the native trees within the existing bush, of which there’s a number of advantages to doing that, especially around pollination. Mr Gower said the site could become Australia’s biggest commercial gubinge plantation, but a lot of marketing, research and development was still needed. “While others may be rushing in [to the gubinge industry], we’re treading carefully,” Mr Gower said. “And we want to do the acceptable thing by the native title groups across northern Australia, who we’ll potentially be going into partnership with when we look at a processing plant. If all goes to plan, about 10,000 fruit trees, mostly gubinge, will be planted on the site by early 2018. The WA Government said the land would be leased to MAC at no cost for the first several years, and the agreement will be revisited once the operation becomes commercially viable. Photo Pindan walnut (Gumpja) growing at Bidyadanga, south of Broome. Tom Harley, a native tree consultant to MAC, said the commercial opportunities for a large-scale native orchard were huge. He said there was growing demand for gubinge, but also other local plants such as pindan walnut, wild mango and native pear. “The commercialisation of these plants has been very difficult in the past, but that’s changing, and there are companies like Ernst & Young that are looking at various investments [like this],” he said. “I’ve been talking to some people in the east who are very interested in doing ethical, Indigenous investments. These species have extraordinary health benefits, and the ‘Plum’ can be an alternative to chemical preservatives in food. Investigative work is still being carried on at a number of Australian Universities. This entry was posted in Broome/Kimberley, Environment, Health, Oz politics, Resources, science, technology and tagged ABCRural, gubinge, kakadu plum, Mamabulanjin, mia davies, terminalia, tom harley, Water Corporation. Bookmark the permalink.